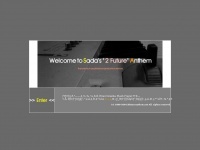 2futureanthem.net is only little known and it is ranked #4,329,223 in the english speaking internet. It is using the content management system WordPress. The website is hosted on a Apache web server. It is using HTML 5 as markup language and the loadtime is very slow with an average of 2.32 seconds. Internet Service Provider GMO Internet, Inc.